In the old days, some businesses had grainy surveillance systems using VHS tapes, which really didn’t help them out because you couldn’t make out the faces of robbers. Or the tape would run out just when it was needed to catch a thief. 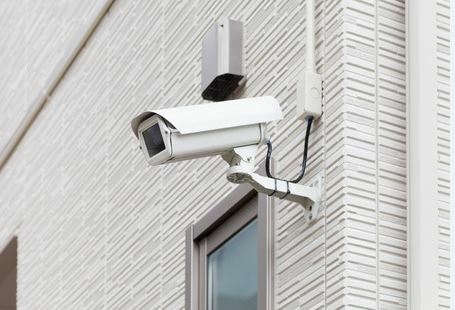 Nowadays, though, thanks to improvements in technology, video surveillance systems make a lot of sense for all sorts of businesses who want a clear, detailed and accurate visual record of what happened daily at their place(s), inside and out. Why use video surveillance? For starters, video systems help reduce loss, theft and vandalism. If people know they’re being watched, they’re less likely to do bad things like steal from the business. Furthermore, if they do commit a crime, video exists to show others– including judges and juries in a court of law– exactly what happened in real time. Today’s video cameras have superior video quality, compared to those from years ago. The clarity, as well as viewing angles, are excellent. Next, video systems today are easier to install and can be more effectively implemented at businesses. If you don’t want “big and bulky” and “noticeable,” you have the options to watch people at your place of business without them ever even knowing they’re on camera! In the old days, you might have one camera covering one spot in a room. Today, thanks to technology, you can have multiple cameras covering all the areas of particular rooms and areas, so nothing is left unwatched! Furthermore, instead of using video tapes, images are stored digitally. Digital video surveillance systems are cost-effective and scalable. Finally, perhaps the best aspect of today’s video surveillance systems is how they can be monitored from anywhere in the world. Thanks to the Internet, a business in a faraway location, could be “watched” from remote locations. Both “live streams” and “archived footage” are accessible from anywhere. Have you been thinking about getting a video surveillance system for your home or business? Read more about what NYCONN Security Systems offers and/or call 1-800-783-5004 to discuss your wants and needs.